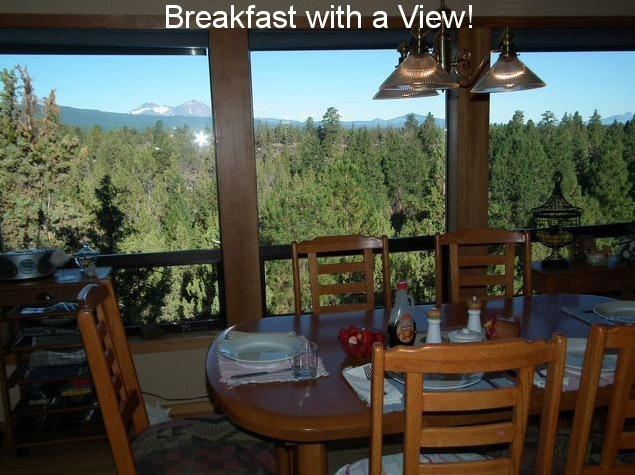 The Alpenglow Ranch is a Clothing Optional Bed and Breakfast located in near Bend, Oregon. This beautiful home is situated on 51 acres of solitude offering incredible views of the Cascade Mountains. Enjoy a quiet afternoon by the private infinity edge pool sans clothes or have some fun with the 70 foot water-slide. Swimming is available June to September. In the summer, you will see abundant wildlife. In the winter you will see snowcapped mountains. Enjoy the quaint Bend area and then return to your personal nudist retreat where you can warm by the wood burning stove or soak in the hot tub the way nature intended! If you want something more than enjoying the mountain sunshine; world class biking, hiking, fishing, golf and skiing are all within 45 minutes of the home. Alpenglow has private hiking trails and viewpoints are there for your naked enjoyment. You will feel like you’re in the middle of nowhere and yet only 10 minutes from town. Amenities: Private infinity edge pool, 70 ft. open flume slide, In-Ground Heated Spa located poolside is available when the pool is open. Swimming available June to September. Therapeutic Hot Tub adjacent to the Guest Suites is available year round. Chaise lounge chairs, market umbrellas, outdoor dining & pool floats. Outdoor BBQ grill and bar area, Full-size Golf driving range, 9 Hole “Disk-Golf” Course, Exercise Equipment, Refrigerator, Microwave, Coffee Maker, Pool Safe plates, cups and utensils are available for your use. Wi-Fi throughout the property…even at the pool! Fax and other business services are available if needed. Snowshoeing and Cross Country Skiing available on property when snow cover allows. Alpenglow Ranch management realizes that our guests want choices and that is why we are clothing optional. Our philosophy is based on common sense. If this is your first time at a clothing optional resort, you may wear something until you are more comfortable. If it is cool in the evening, you are welcome to wear clothes. You have the freedom to wear a shirt, cover-up or bathrobe at any time. It’s common to be a little nervous at first but that usually only lasts for about the first half hour or so. You will find our guests are the nicest couples you will ever meet. You can sunbathe “au naturel” in a very safe, secure, environment. Our first, last and only concern is the comfort of our guests. We want you to feel completely at home and make your stay here a relaxing, luxurious and affordable vacation. 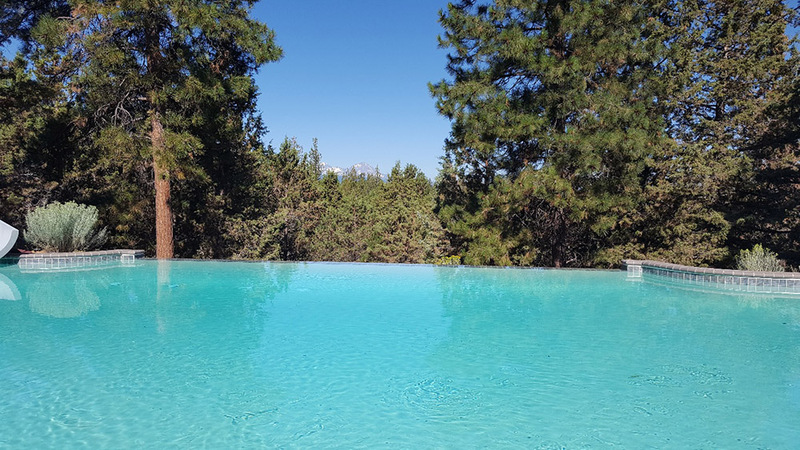 Stayed at Alpenglow Ranch Oregon Nudist B & B? "My wife and I have been interested in the clothing optional lifestyle for some time, and we were looking for a good first-time experience in a social setting with other couples. Alpenglow Ranch was the perfect way for us to experience a clothing optional experience for the first time, and we enjoyed our stay tremendously. 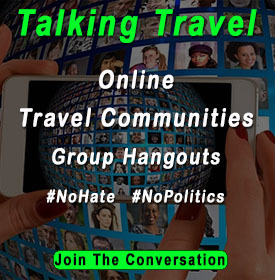 The hosts are very welcoming and understanding of everyone’s situation. There was absolutely no pressure placed on us and we were able to go at our own pace. We immediately felt at home and were naked the entire time (except for when we left for dinner one night). We had great conversation with the hosts and the other guests, and we enjoyed some much needed quite time amongst ourselves. "We returned to Alpenglow recently and had an even more enjoyable time than our first visit. Summary: If you have not been: Go. If you have been: Go again. Really, the Resort (calling Alpenglow simply a B&B doesn’t do it justice) truly shines its brightest in the summer. The pickleball court, infinity pool, grounds (acres and acres actually), BBQ area, hot tubs and slide are all there ready and waiting. And, with at most one other guest couple at Alpenglow, there are no queues, sign-up sheets or crowds. Nope, it’s all pretty much your own personal summer retreat and resort. 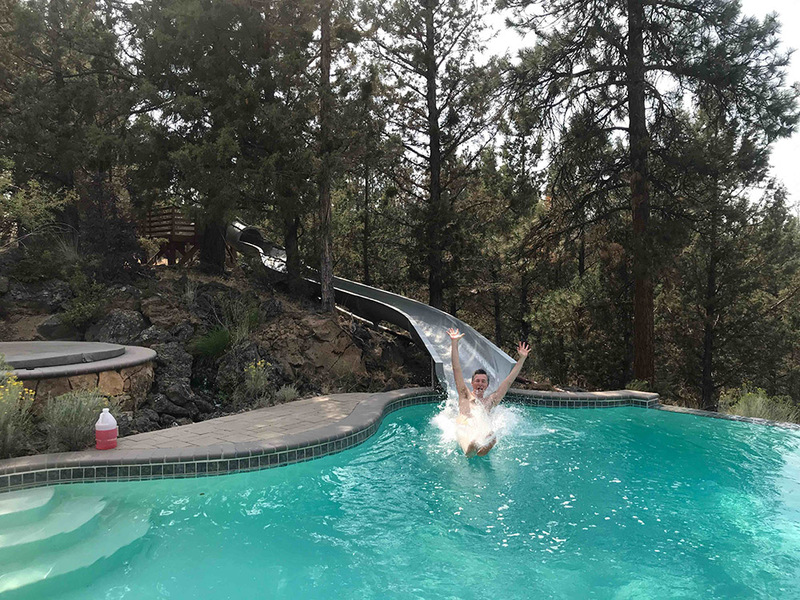 One summer adventure you can’t miss out on is using the Water Park Worthy slide… I had seen this video below and well, I can now confirm it’s all true. Absolutely. Locale: The ranch is located about 10 minutes from Bend’s downtown. You might think that this proximity means that it lacks serenity or privacy. You’d be incorrect. It has a gated entrance down a long paved private drive through the pine trees. 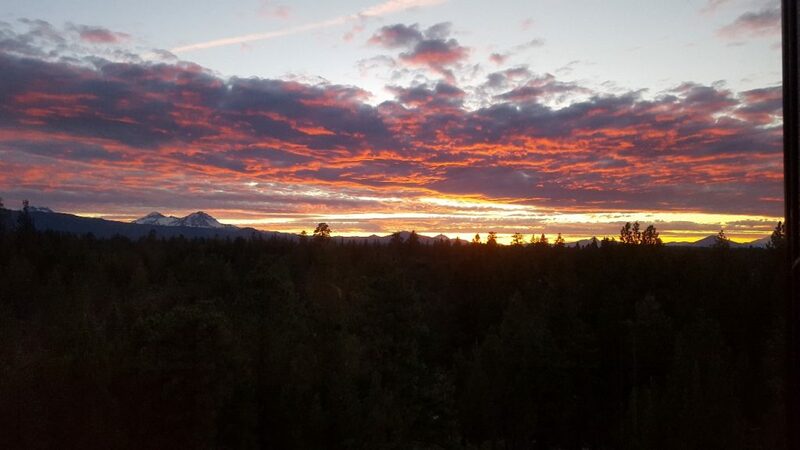 Look at the photos, when you reach the end of the drive you will see the residence, the pickleball court, the pool area and the stunning world class mountain vistas. 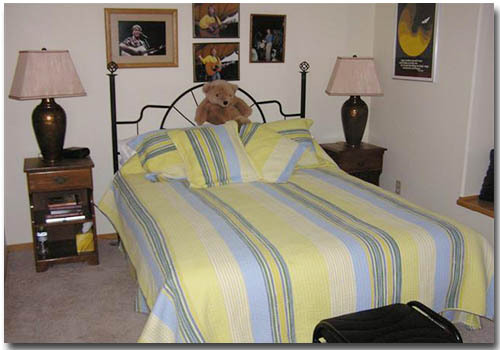 The Guest Rooms: The two guest rooms are downstairs off a separate living area with a large comfortable couch. The downstairs living area, also has a large television – which quite frankly we never watched, because we were busy enjoying the ranch’s other offerings or accepted the hosts’ gracious offer to watch television and share evening refreshments upstairs with them. The downstairs living area also offers a fridge, coffee maker, and some complementary drinks and nibbles. We stayed in the Cascades’ Guest Suite. The bed was comfortable. The room was clean, very quiet, we left the window uncovered at night to watch the stars and benefited from a separate outside entrance which makes the pool area .. just a tad closer. We’ll pick that room again for our return visit. The Hot Tubs: There is a large “portable” hot tub off the downstairs living area, which offers about a 180 degree and simply fantastic mountain views. There is also a “built-in” hot tub near the pool which became, at least for us, the evening gathering place to share wine, stories, wit and wisdom with the hosts. Both hot tubs, were warm, clean and more than comfortable for four people — and six folks should work just fine as well. The Pool Area: Take a look at the photos on-line. An infinity edge pool facing ok, I have mentioned it before but here you go again — breathtaking mountain views. Unbelievable. Consider this a challenge to find a better view from a clothing optional pool. You won’t. South, Middle and North Sisters are your only company as privacy reigns supreme. The pool area also has numerous comfortable chairs, lounges and tables available … as well as a water slide. It was a tad cold when we were there, so there is no travelogue at present on the slide. But, yes we will be back soon for that adventure. Pickleball Court: There is a private pickleball court steps from the front of your residence. If you have not played before the hosts are patient and welcoming coaches and players. If you have played before, they are up to a lively, friendly challenge… all in good spirit and fun. Breakfast: Large healthy portions, were featured at every meal… a tasty hashbrown crust “breakfast pizza one day, German pancakes with fresh berries the next, and boutique pancakes, eggs and bacon the next. Fruit juice, fresh fruit, and coffee rounded out the morning meals. Simply put, the food was tasty, plentiful and varied. And, well, a portion of the vegetables and all the eggs are from the ranch. "To say that our 3-day stay at Alpenglow Ranch was GREAT, would be too tame a word in describing our holiday with them. First, we were graciously welcomed by our charming hosts and introduced to their lovely, secluded, peaceful property. Pictures of their home pale in comparison to reality. The privacy of our bedroom and beautiful bathroom were merely the starting point. Our bedroom was on the lower level with its own living room, wide-screen TV, DVD’s galore, two luxe couches with recliners, and fitness equipment (should one be inclined). 1. There is a spa immediately just outside the guest living room on a desk. It has a breathtaking view of their acreage (i.e. forest) that hovers in front of the Three Sisters. Watching the sun rise and set showcasing the Sisters while lounging in the spa, gives new meaning to the ultimate relaxation. 2. 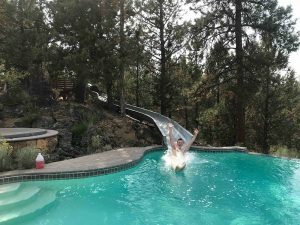 Not to be outdone, there is ALSO the infinity pool, lounges, fire pit, and (another) spa that is next to a rock waterfall plus a pool custom slide. This whole pool area would make all hotels envious. 3. Pickle-ball! A new court is right next to the infinity pool and gives way to a lot of laughs (especially for us non-pickle ball playing kind of people). 4. This amazing home away from home is a gift to its guests. In addition, we were also surrounded by a lovely garden full of squash, tomatoes, pumpkins, sunflowers, and much more. We walked over to the barn and visited with their chickens, bunnies, a couple of roosters which added even more to the experience. 5. Alert: Foodies! We had breakfast’s you could write home about (or get the recipes for too). A fresh (farm-to-table) morning with eggs, fresh fruit (well, no written description could do the meal(s) justice (yes, it is that good). 6. To round out our very enjoyable experience, we got to meet two additional hosts. And they made us fall in love with Alpenglow Ranch even more. The charming and well-behaved guardians are two goldens, Cooper and Bailey. We’ve never seen such well behaved dogs (okay, family members) – and we couldn’t help seeking them out frequently during our stay. It makes little sense for me to go on boasting of how much Alpenglow Ranch offers. It is a MUST-VISIT so you can personally enjoy a truly special experience. "We spent 5 nights at Alpenglow ranch. It was wonderful. What a great place to relax and unwind. It was everything I was looking for; Private, secluded, and quiet. Everything that was advertised was there. The pool is extremely nice, and they kept it nice and warm. It was great to be able to take a dip if you got too hot from laying in the sun. (which we did a lot of!!) The hot tubs were again very welcome, as the nights cooled off. Sitting by the fire visiting was very enjoyable. The whole atmosphere was extremely relaxing. The hosts were friendly and honestly made you feel like you were welcome to share their beautiful get-a-way. I wished we could have stayed longer. There is disk golf there, that was a lot of fun as well. We will definitely be back. If you want a nice relaxing place to spend a few days, this is the place. Thanks for a memorable holiday."